All Voting Polls Are Now Open! 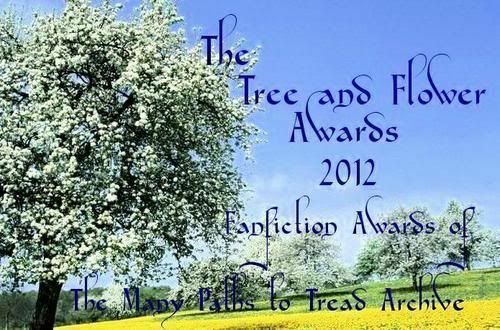 Although it took many more posts than expected, all the voting polls for the Tree and Flower Awards are now posted and open! Please pay attention to the ETAs, as they may affect the poll. Also, all the polls were meant to be closed to view, but two of them Type and Genre 1 are not; I forgot to check the box, and the polls themselves cannot be edited. I hope everyone has a good time voting! The polls will be open until September 14. Nominees: Remember to claim your Nominee Banners and Icons" to show off your nominated stories! You are allowed to promote your stories and the awards, just so long as you do not ask for votes! Signal boost the awards and other stories as well! This looks to have been hard work, thank you! I can see the results of all the polls. I've learned quite a bit about how polls work this time around! I hope that we can do better next year. How lovely! I'm just starting to catch up with the posts, and can see how very hard you've worked on this. Thanks! It was a lot more work than I anticipated, but I hope everyone has a lot of fun and finds some great new stories to read! It will be worth it! Are you going to post a winners list here on the LJ community, or at MPTT itself?